Mahindra Two Wheelers, relatively new player in Indian motorcycle industry has introduced a new version of Mahindra Centuro that comes with disc brake. The motorcycle with disc brake has been priced at 52,210 INR (ex-showroom Maharashtra) and is going to be the fifth variant of Centuro. 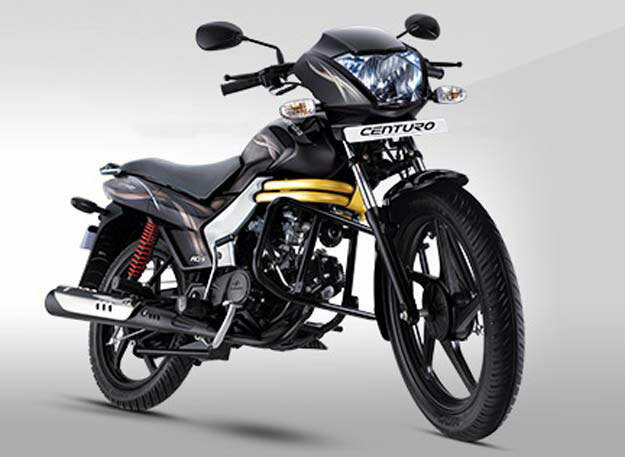 The Centuro is a bike with a host of First in India features. Packaged in a stylish and Muscular body with attractive decals the bike commands attention. The Centuros anti theft alarm with Engine immobilizer and Remote Flip Key are just some of the amazing features that it has. 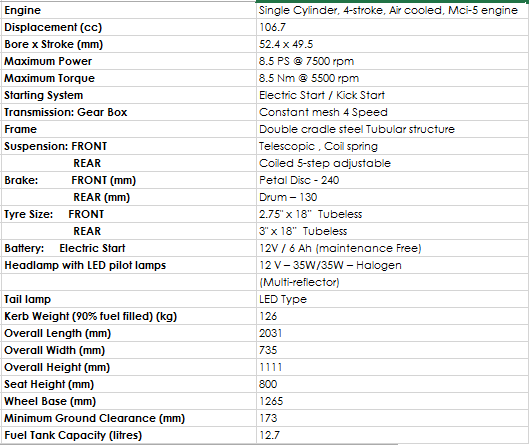 It also comes packed with a host of patents on the 100cc MCi-5 engine that powers it. The Mahindra Centuro Rockstar is a style icon. With Iconic decals, a muscular body, Golden ribs, and sparkling alloy wheels that make it stand out wherever it goes. While its advanced technology and convenience features give it an edge over other bikes. The Disc brake variant of motorcycle inherits some good features from its predecessor like immobiliser, flip-key, follow-me home LED guide lamps, digital and analogue instrument cluster, LED tail lamp and more. 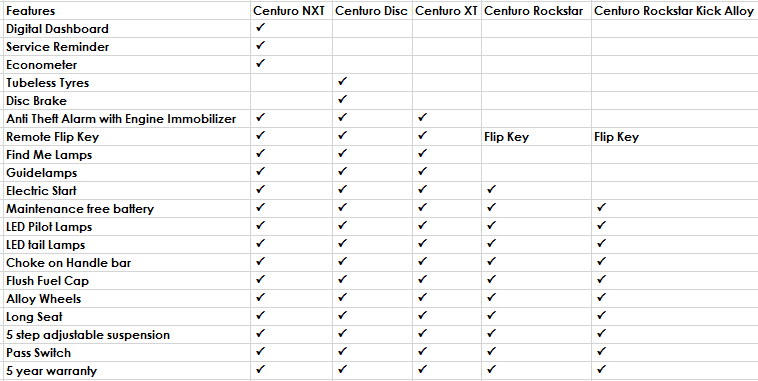 This article has been updated on 28-07-2015 with specific details of Centuro NXT and Centuro Disc Brake with specifications.